Electric GT, the Tesla racing championship, had a few setbacks that resulted in delays, but they are now apparently ready to start after receiving FIA accreditation earlier this year. 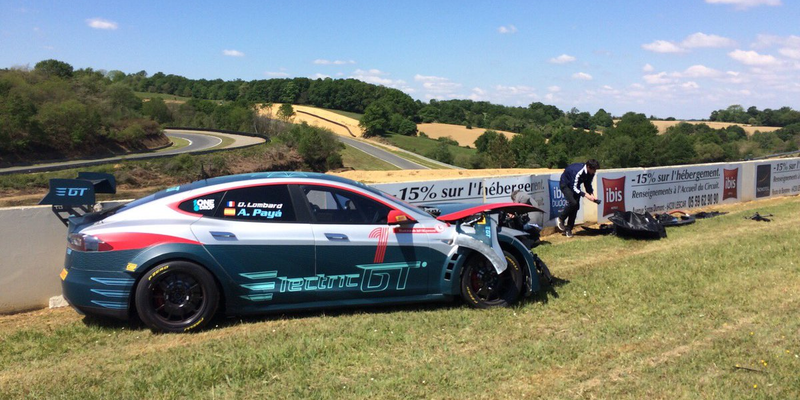 As we recently reported, the Tesla racing championship Electric GT is still alive despite a crash and several delays. Electric GT, the all-electric and all-Tesla racing championship, has been working to bring its racing events for the past few years, but it has missed its last few deadlines. Last time we heard from them, they crashed their Tesla Model S prototype race car during testing. Electric GT is getting ready for the inaugural race of its all-electric and all-Tesla championship later this year. Last week, they made their headquarters at the Circuit Pau-Arnos in France and started testing their stripped down Tesla Model S on the track. Earlier this year, Electric GT CEO Mark Gemmel tentatively announced some dates and circuits for the launch of his all-Tesla racing championship with a start at Silverstone in August. Electric GT, the all-electric and all-Tesla racing championship, has promised to deliver a stripped-down racetrack-ready Tesla Model S P100D that can accelerate from 0 to 60 mph in 2.0 seconds (0 to 100 km/h in 2.1 seconds). The weight reduction is critical to this accomplishment and they have now revealed how they did it. The idea of the Electric GT championship got a lot more exciting since they finally decided to let go of the Tesla Model S P85+ and instead use the new Tesla Model S P100D with ‘Ludicrous+’.